Hero Bands – does it get any simpler – and more fun – to give children positive and powerful feedback about the social, emotional and learning attitudes and behaviours that you want to see more of? Simply, no. 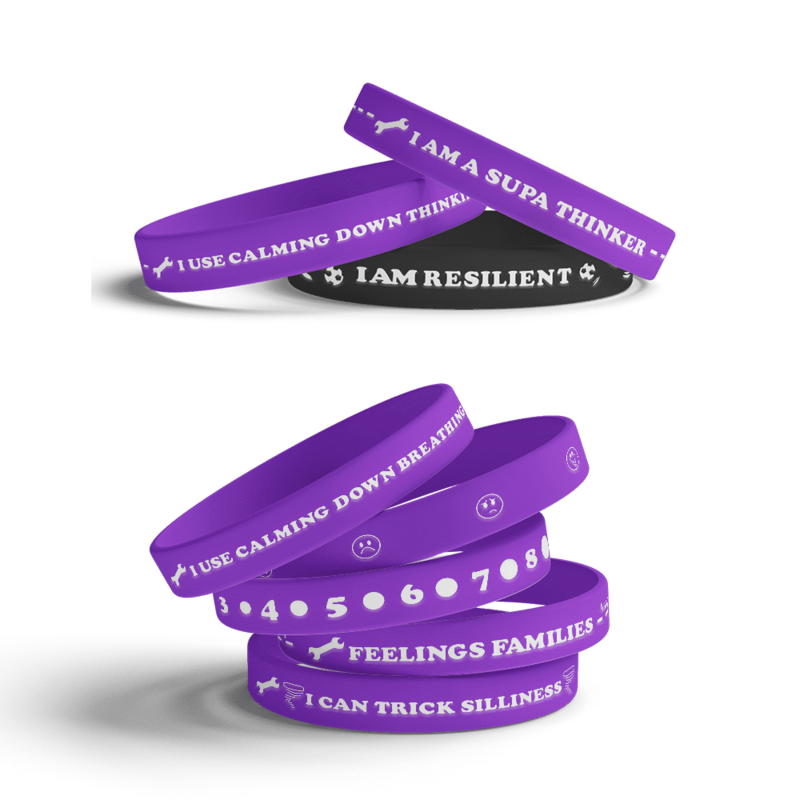 These sets of beautifully bright wristbands help children in the playground, the classroom and at home to know when they’re showing attitudes and behaviours that are going to make them successful, help them to thrive and to achieve. 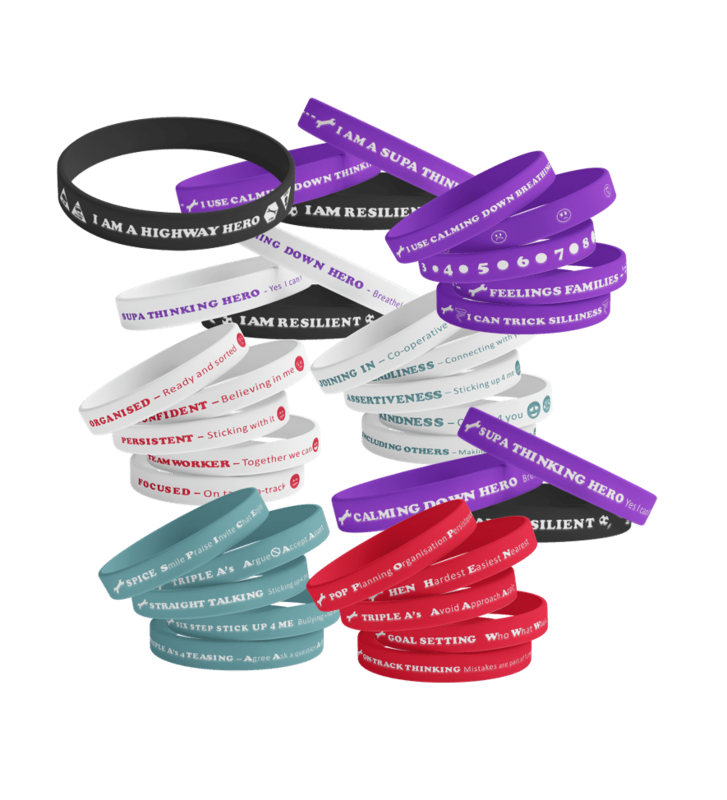 Whether you’re a Highway Heroes school or not, there is a set of Hero Bands that will revolutionise the business of giving children feedback immediately and powerfully on the stuff that really matters. Mix and match your Hero Bands – there’s one to recognise the skills and attributes that lead to playground and classroom success. SUPA THINKING HERO – Yes I can! CALMING DOWN HERO – Yes I can! Order the General Playground and the General Classroom sets of Hero Bands together and save 5%. 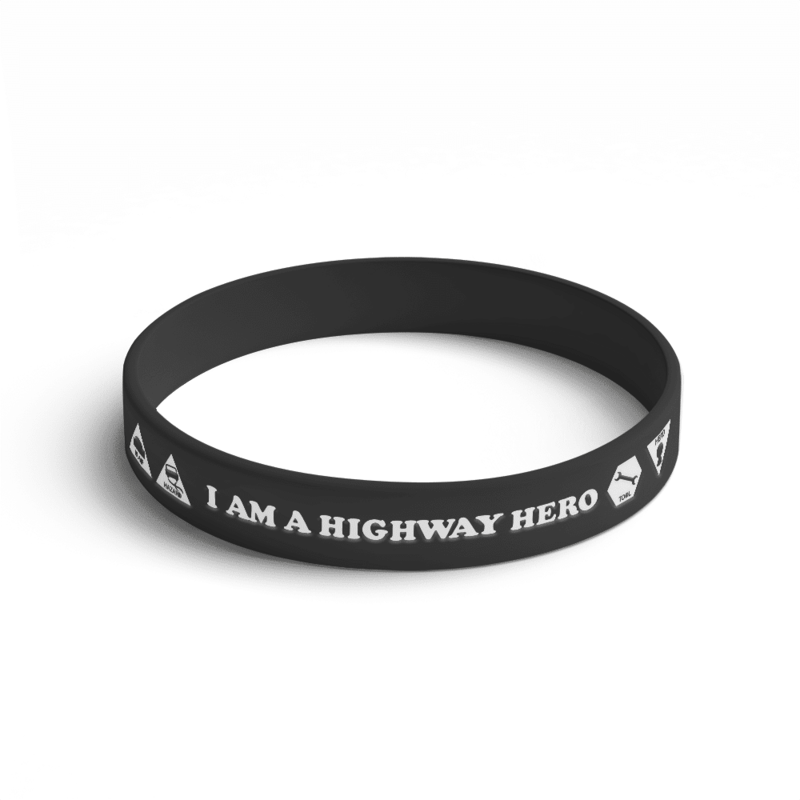 I am a Highway Hero! SIX STEP STICK UP 4 ME Bullying – no way! Order the Highway Heroes Playground and Classroom sets of Hero Bands together and save 5%. Your set of BEST Hero Bands is so simple, yet so powerful in helping children to identify the skills and behaviours that they’re demonstrating that are helping them to be socially and learning successful. It’s called Behaviour Specific Feedback – and it is THE most powerful way to positively shape a child’s behaviours and attitudes and that’s what you have right at your fingertips with the BEST Hero Bands. When Behaviour Specific Feedback is used effectively, it increases a child’s social and academic performance as well as building a positive classroom atmosphere. The BEST Hero Bands provide you with a simple, effective and fun way to provide Behaviour Specific Feedback to your students – which means that you’re going to get more of those positive behaviours and attitudes that improve social, emotional and learning success. 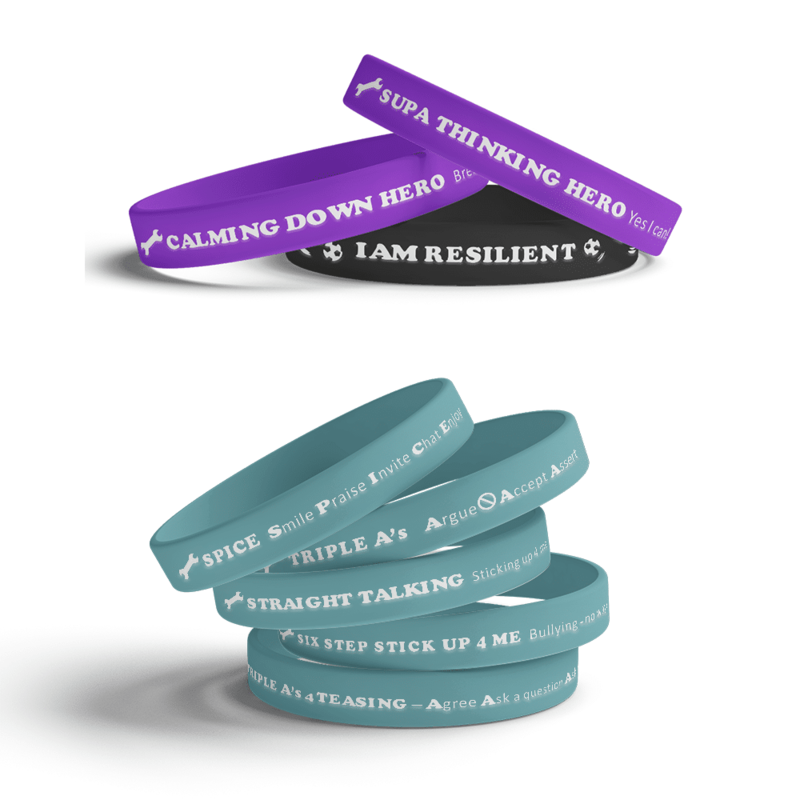 The BEST Hero Bands can be used in numerous ways both in the classroom and in the playground to give children immediate and specific feedback about the skills and attributes they’re exhibiting – and they’re going to love the bright, colourful bands so much that they’re going to want to earn even more. 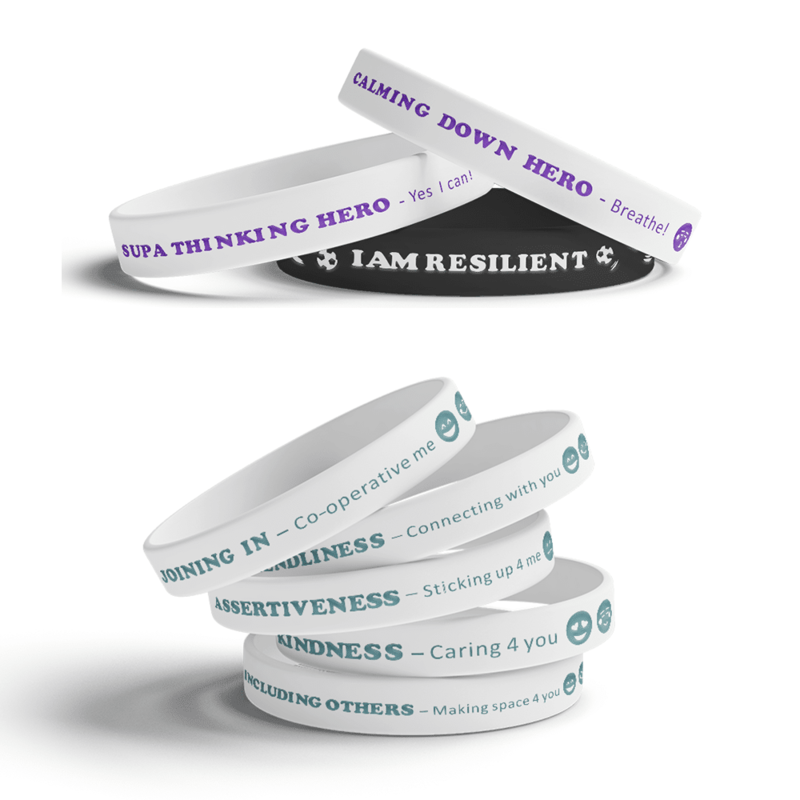 The BEST Hero Bands can be used as a one-time give-away to a child or as repeated and returnable currency in the home or classroom. Using the principles of Behaviour Specific Feedback, when you ‘catch a child’ in the act of being resilient, kind, inclusive, assertive… and you notice that in a meaningful way for the child, it draws their attention to the behaviour and increases the likelihood that that behaviour will occur again. It’s a powerful way to reinforce positive attitudes and behaviours. To assist the return and reuse process, use your in-school reward program as acknowledgement for having earned a BEST Hero Band. So, for example, if a child who regularly struggles to stay on-task and on-track in the classroom demonstrates that behaviour, you would award them the ‘Focus’ band. 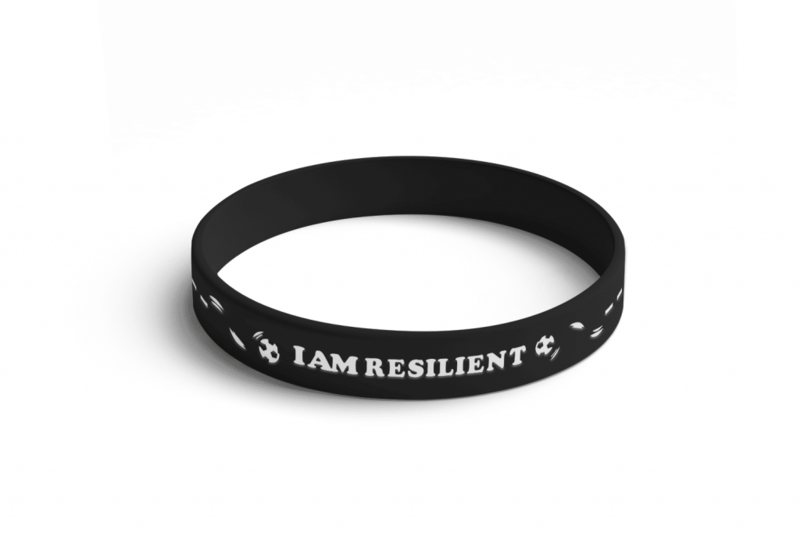 That band could then be worn throughout the day or for a period of the day and then returned in exchange for a token to be added to their own or a collective bank (eg. Faction tokens). At the end of a learning block or as children return from play, take the opportunity to showcase children who have earned BEST Hero Bands. Discussions of what specific skills or behaviours that they were exhibiting helps other children to identify how they too, could earn a band. In a positive pay-it-forward way, children can then be encouraged to be on the look-out for another child exhibiting the skill or behaviour on their awarded band and to allocate their band to that child in an agreed period of time. It’s fun and engaging and a very visual way for children to learn all about how to manage themselves and how to recognise and reward the positive skills and behaviours of others.